However, because it usually takes quite long before the case is finally decided by the court, there are times when the plaintiffs will face certain financial difficulties in the middle of a lawsuit. These plaintiffs will need a certain amount of money to shoulder their finances. And because most of the time, they cannot get a permanent job due to medical reasons, they may face some financial challenges that will leave them no choice but to get advance cash settlement. 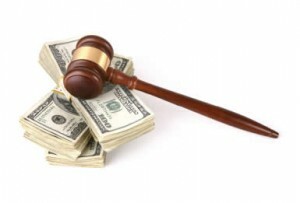 Advance cash settlements are also known as settlement loans, which are offered to individuals, especially the injured party or plaintiffs of a pending settlement lawsuit. These are very helpful alternatives for the plaintiffs to get money in advance while they are still waiting for the court’s final decision. The best thing about settlement loans is that the plaintiffs do not need to pay for the amount that they borrowed in the event that they lose the case. This is the risk that the settlement loan providers are taking, thus they are very careful in choosing who they approve for loans. Before applying for a settlement loan, it is important that the plaintiff informs his lawyer about his plan, because the lender will contact his lawyer to get all the necessary information about the case. Of course, the lenders want to make sure that they only approve the loan applications of those who have greater chance of winning in the court. The drawback in settlement loans is that they usually have higher interest rates, which accumulates over time. Thus, it is recommended that the borrower shall only loan enough amount of money that he needs, and estimate how much longer it will take before the case is finally decided upon, and before he gets his cash settlement. It would also be wise for the borrowers to shop around for various settlement loan providers and compare their interest rates and other fees that need to be paid. Of course, getting a loan from a lender that offers the best interest rates and lowest fees is obviously the most prudent thing to do. No one wants to lose majority of his cash settlement just for paying unnecessary interests and fees.